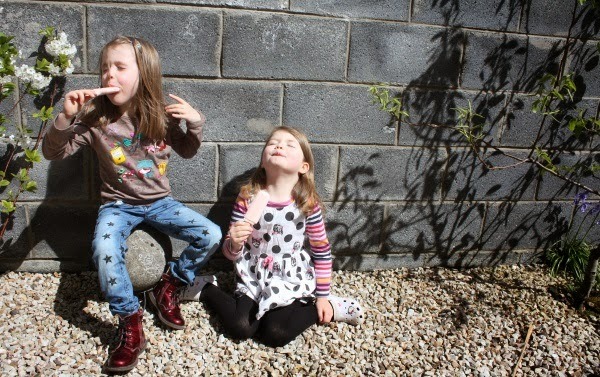 One of the healthiest lolly brands (or 'ice-pop brands' if you're Irish!) 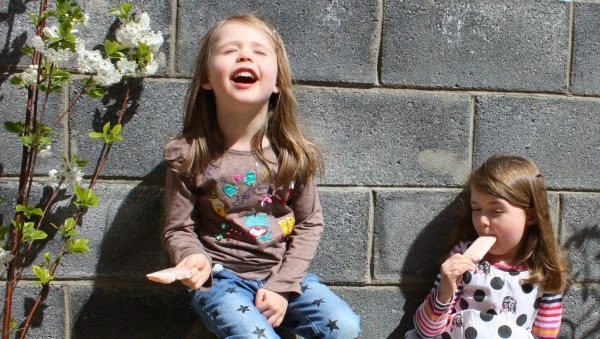 in the UK has just launched in Ireland and my girls and I were lucky enough to be invited to sample some, just in time for the glorious Spring weather this past week. 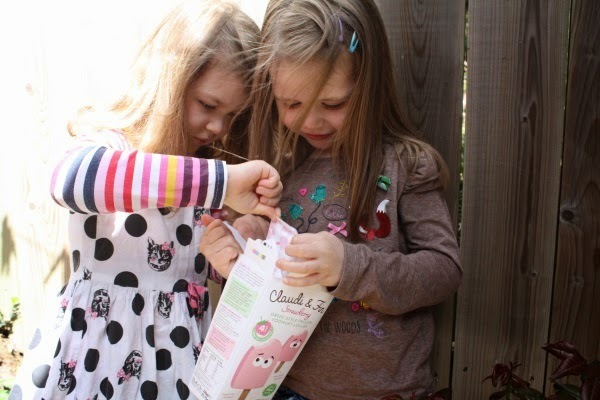 Crafted from delicious Greek style yoghurt and jam-packed with fruit, Claudi & Fin was created by 'Mumpreneurs' Lucy Woodhouse and Meriel Kehoe after they struggled to find healthy treats for their toddlers. 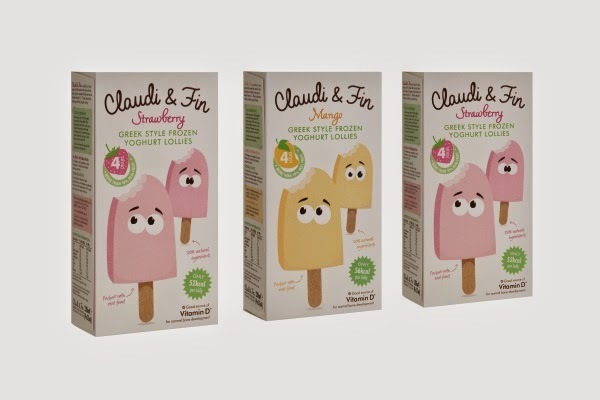 Named after their little ones, Claudia and Fin, the lollies are made with no artificial ingredients and contain 30% of your child's recommended daily intake of Vitamin D. They also come in two different flavours; Strawberry and Mango. Accepting the offer to review these lollies was always going to be a bit of a risk because I have one child that absolutely hates yoghurt. HATES. IT. I've tried everything with Sábha - from natural yoghurt with fruit compote, to sugar-filled not-even-yoghurts, to the ubiquitous petit filous and even goat's yoghurt with zero success. Luckily for me, her sister is her polar opposite. She'd eat all the yoghurt all the time. So in the end, I figured that accepting the yummy treats (as much for myself as for them) could end up meaning a fairly balanced review. 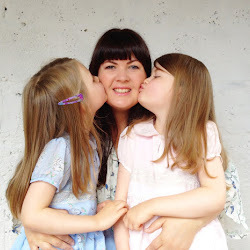 Or at least I knew one child would like them and I could always lie about the other... OR... a miracle might happen and I'd discover a new way to get some dairy goodness into Sábha. 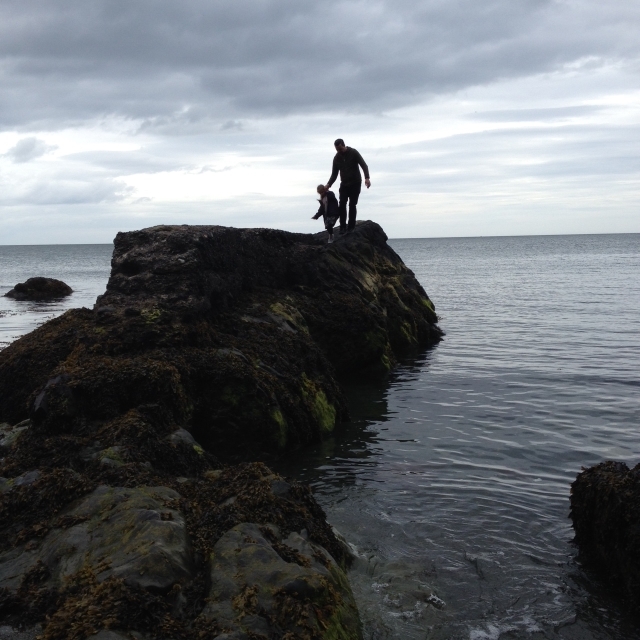 As it happens - Claudi and Fin turned out to be a miraculous discovery. 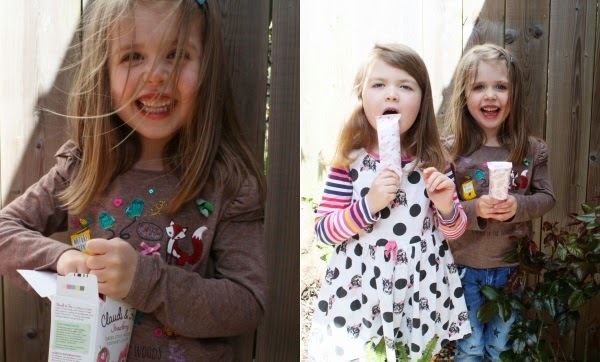 I didn't mention to the girls that the, gorgeously packaged, lollies were made of yoghurt. I just gave them some to try, crossed my fingers Sábha wouldn't gag and fling them back at me and then asked them what they thought. They absolutely loved them. In fact, yoghurt-hating Sábha likes them even more than Lile does. Lile prefers the Strawberry flavour while Sábha prefers BOTH flavours. As often as possible. It's a revelation. I have to admit too, that I'm quite partial to them myself! They have a lovely creamy texture, are very tasty and are a satisfying treat on a sunny day. I gave some to a few family members to try too and there was a resounding thumbs up from everyone. Good job Claudi & Fin! Disclosure: I was given a generous sample of Claudi and Fin Frozen Yoghurt Lollies in exchange for this review. All opinions are my own, and those of my children and we were not paid to give them.